I just love red and aqua together. Beautifully done! Lovely little top! Aqua and red look so good together, and if it only took two days it really was fast. Have a good weekend! Wonderful finish! I also love red and aqua together. Your kiddos are out early? We have another two weeks here. Today my 17 year old goes to a water park for the day with her school (it is a tiny high school) It is cold and rainy outside which is weird for California in May. I guess they were going to be wet anyway? I really love it when the backing informs the fabrics for the quilt top; what a beautiful fast finish! A great idea to start with the backing fabric. I think it turned out lovely. We all have books we don't use nearly enough I think. I know I do. Great colours, I feel like red and aqua deserves classic status! Sweet pattern! Sometimes the simple ones are the best, especially if you're in a hurry! This is a lovely quilt. How are you coming with the small four patch quilt coming? I believe the blocks were 21/2 inches. I loved hers and I love yours too! Blue and red make such a classic combo. This turned out beautifully!! 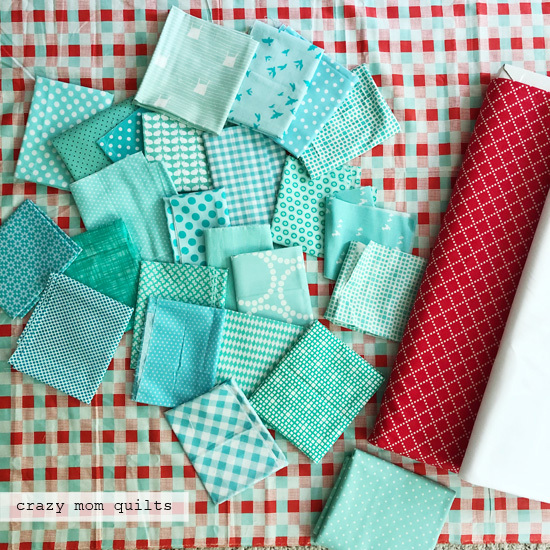 Love how you used the Aqua for the big squares and red fabrics for the littler ones. So stunning!! Beautiful quilt! Enjoy summertime with the kids! Gorgeous! Perfect, even! Savor every single moment with your children. They gro up so fast! Pretty! 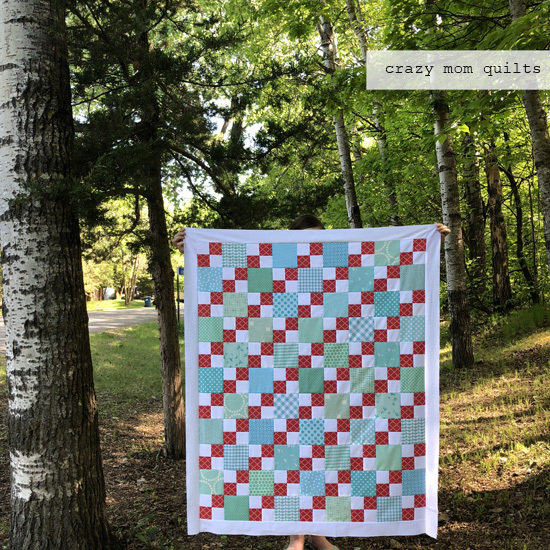 Simple four and nine patch blocks were my first quilty love and this is a beautiful example!